Wat is dit voor site? Wij zoeken de goedkoopste boeken op internet. Strategy Mapsvonden we het goedkoopst op Bol.com voor €20.89. We hebben gezocht in nieuwe en tweedehands boeken. Rechtsonderaan de pagina kan je het boek direct bestellen	via Bol	.com. More than a decade ago, Robert S. Kaplan and David P. Norton introduced the Balanced Scorecard, a revolutionary performance measurement system that allowed organizations to quantify intangible assets such as people, information, and customer relationships. Then, in The Strategy-Focused Organization, Kaplan and Norton showed how organizations achieved breakthrough performance with a management system that put the Balanced Scorecard into action. Now, using their ongoing research with hundreds of Balanced Scorecard adopters across the globe, the authors have created a powerful new tool--the "strategy map"--that enables companies to describe the links between intangible assets and value creation with a clarity and precision never before possible. 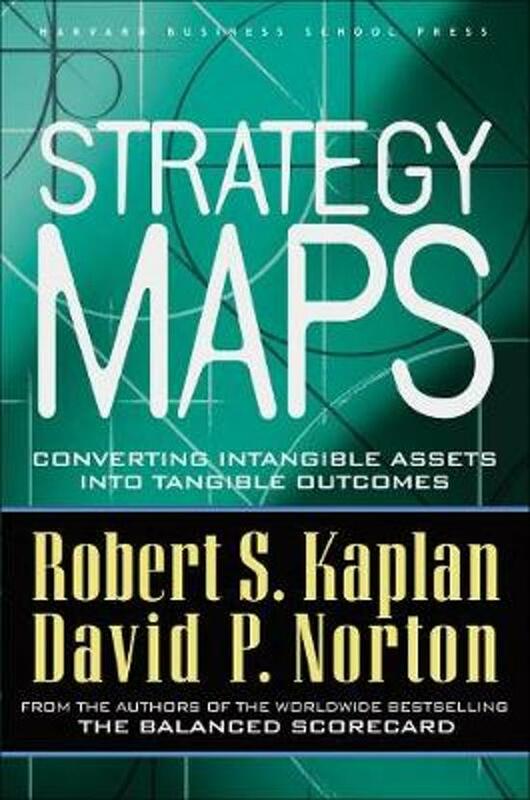 Kaplan and Norton argue that the most critical aspect of strategy--implementing it in a way that ensures sustained value creation--depends on managing four key internal processes: operations, customer relationships, innovation, and regulatory and social processes. The authors show how companies can use strategy maps to link those processes to desired outcomes; evaluate, measure, and improve the processes most critical to success; and target investments in human, informational, and organizational capital. Providing a visual "aha!" for executives everywhere who can't figure out why their strategy isn't working, Strategy Maps is a blueprint any organization can follow to align processes, people, and information technology for superior performance.